On Saturday, the Dalai Lama once again proved himself to be a politician wearing the robes of a monk when he criticised anti-whaling activists while visiting Japan. He did not speak harshly at all against the Japanese whalers. The Dalai Lama critcises anti-whaling protestors who mainly use nonviolent actions to try to stop illegal whaling, but he never speaks out against the wars in Iraq and Afghanistan which are extremely violent. TOKYO — The Dalai Lama on Saturday criticised wildlife activists for staging what he said were violent protests over Japan’s hunting of whales. The rebuke came as the exiled Tibetan spiritual leader visited Japan for an 11-day lecture tour. 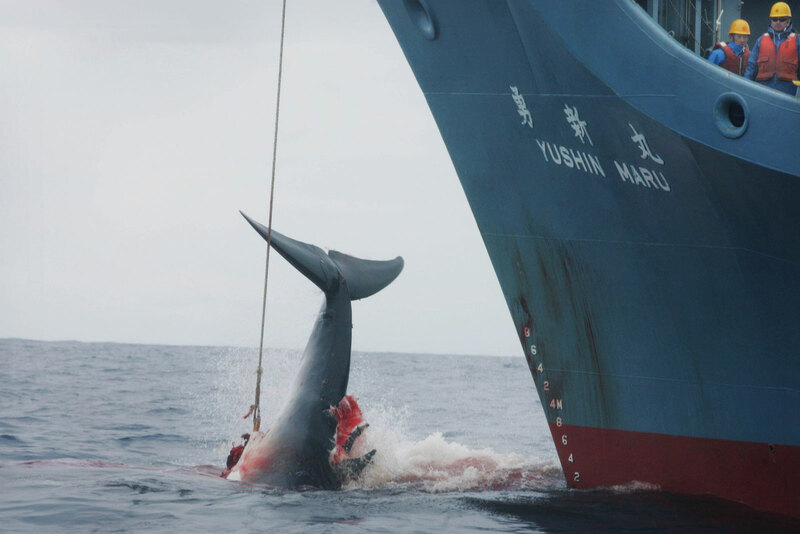 At a news conference, he said he had told the US-based Sea Shepherd Conservation Society to stop its violent harassment of Japan’s whaling fleet. “One time I wrote a letter…(saying) their activities should be stopping,” he told reporters. It is becoming increasingly obvious that the Dalai Lama is just another politician. Even some of his most faithful followers are now beginning to question him. This clip shows the details of the state department documents highlighted in the new book A Great Deception – The Ruling Lama’s Policies by the Western Shugden Society. In 1974, the Dalai Lama claimed: ‘The accusation of CIA aid has no truth behind it.’ But gradually as more and more US State Department documents have been declassified he has been forced to admit the truth. In 1999, discussing the early CIA operations involving his people, he said: ‘They gave the impression that once I arrived in India, great support would come from the United States.’ The CIA provided $1.7 million dollars annually to train and support guerrillas, including setting up training camps in the US (Camp Hale, Colorado) and elsewhere, flying the guerrillas there and parachutting them back into Tibet, and providing weapons, equipment and intelligence. The Dalai Lama himself received $180,000 annually to maintain himself in India, a grant for which he did not have to account. 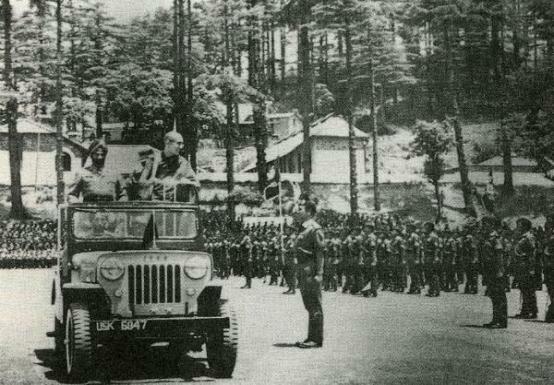 The Dalai Lama inspecting troops at Chakrata. He authorized the Tibetan units of the Indian Special Frontier Force to fight the war in East Pakistan in 1971.